Home / CELEBRITY NEWS / India Eisley: From vampire Eve in Underworld Awakening to Assassin Sawa in ground-breaking Japanese Anime in Kite. 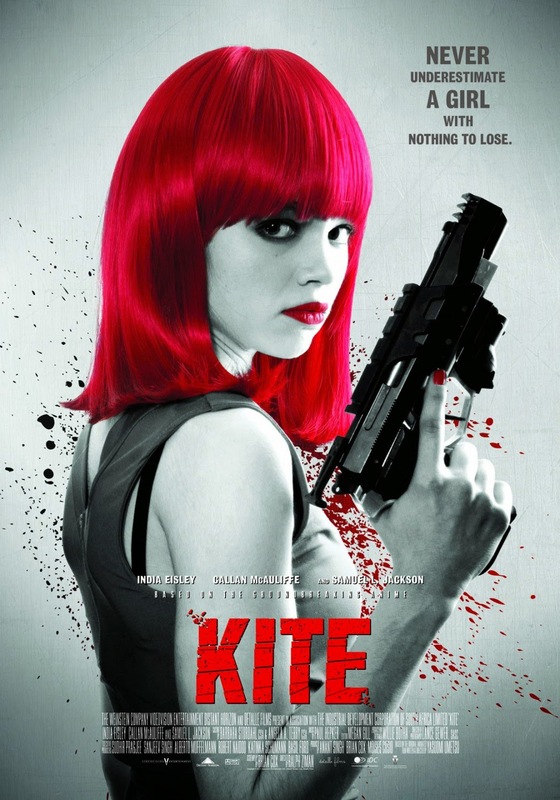 India Eisley: From vampire Eve in Underworld Awakening to Assassin Sawa in ground-breaking Japanese Anime in Kite. 20-year-old American actress India Eisley is best known for her role as Ashley Jurgen in ABC’s family drama series – The Secret Life of the American Teenager and for her vampire role of Eve in Underworld: Awakening. Based on the ground-breaking Japanese Anime. India shows us more of her versatility starring as ‘emotionless killing machine’ Sawa. India gives deets of what it was like working alongside critically acclaimed actor Samuel L Jackson for Kite as well as highlights of her career in 2014. When did you fall in love with the art of acting and how long have you been acting? Well, I've always loved films.. And I became interested in acting professionally, when I was around 12 years old.. That's when I started auditioning really.. Your new movie "Kite" is based off the popular Anime/Manga. Can you tell us about how you got the role of Sawa and what made you interested in the role? I got called in to audition for kite in 2010, and I didn't really know anything about it, other than what was written in the description which was just, young female assassin haha.. So I went in, didn't hear back for two years, then got a call from my manager saying they had offered me the role..
Can you tell us a little bit about you’re character Sawa? Sawa, is a young girl, she's an orphan, her parents were killed when she was very young.. She believes they were killed by a man called the emir. Her "guardian" is a corrupt cop named aker, and he supplies her with a memory erasing drug called amp, which he makes sure she takes in order to complete these killing assignments that aker arranges for her. She believes that with every kill she is getting closer to killing the emir and therefore avenging her parents..
What was it like working with Samuel L. Jackson on set? Kite has a lot of action scenes can you tell us a little bit about your preparation for the scenes. Did you train a little bit for the role? I trained for 3 months with this wonderful stunt coordinator, who unfortunately didn't work on the film, Jeff Imada. Such a great person, he was amazingly patient with me haha. He had me doing martial arts and weapons training, knives and guns mainly, which I thoroughly enjoyed! What was you're most challenging scene to film as an actress on this film? Well, physically things were a bit difficult as, the locations were quite gritty and not the most "comfy" of places. Which looking back, I think that it shows that it was not a plushy set. Not in the least bit, but that worked I think.. It gave a very visually raw feeling.. So I would say that towards the end of filming, physically it was very difficult as I was quite ill at the time, a few of the night shoots were particularly tricky..
How long did it take to film and where did you film? Where can your fans follow you on social media? I'm a tad horrible with the whole social media thing to be honest but, I do have a twitter and Instagram. The twitter is @indiaeisley1029 and Instagram is india_joy93.. I rarely update or check them though, but I'm trying haha. ‘’KITE’’ released and distributed by CAPTIVE CINEMA.